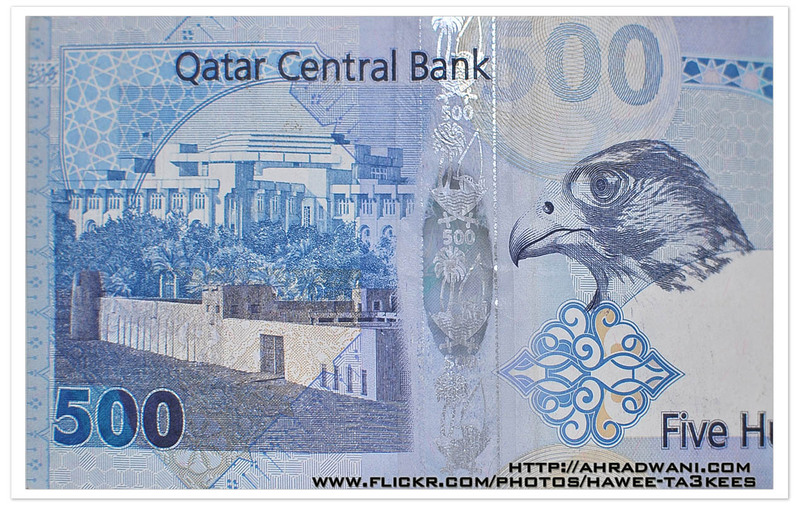 This is a shot of the 500 Qatari Riyal [1$ = 3.65QR], it’s a Blue money paper with some draws. It shows two buildings first one [rear] is the Amiri Diwan or the Ruler Office, in the front you can see a traditional building, on the next part of the paper you will find a head of Arabian Falcon. Macro on ‘Pierre Cardin’ Three colored Bottles..